3000106 is a performance street disc and the most popular disc purchased. It features premium organic materials with high copper content for better heat transfer. Performance street discs allow for quicker shifting and smooth engagement. These discs feature a reduced marcel for faster shift action to complement ACT pressure plates. ACT spring-centered assemblies use bushings and cone springs similar to factory clutch discs. 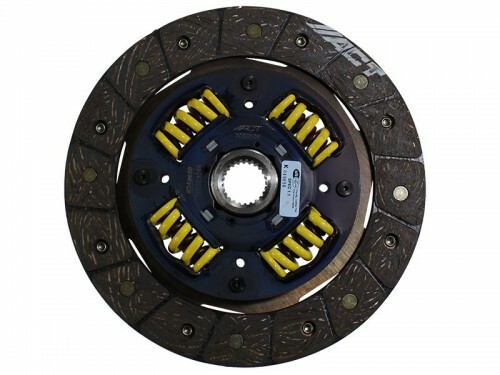 This creates frictional dampening, which improves clutch life and reduces noise. Quiet operation with increased strength and reliability.